On Thursday we are going to be pre-recording an interview with Manisha Thakor and Sharon Kedar. 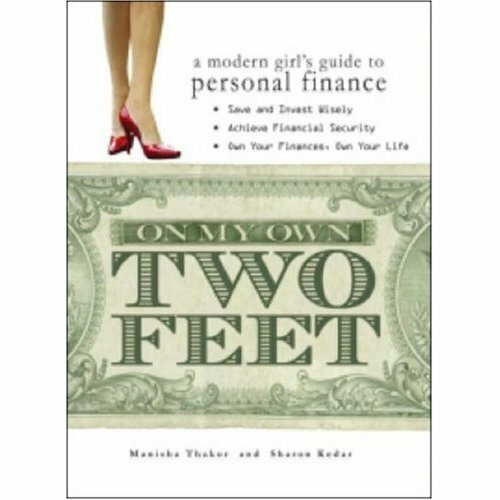 They've written a book called On My Own Two Feet: A Modern Girl's Guide to Personal Finance. The back reads "Most young women would love to live a carefree lifestyle filled with lunches, Louis Vuitton, and lattes, but what you might not know is that doing so can lead to future financial breakdown." I am famously bad with money. I have no debt only because I KNOW I am bad with money and am thus terrified of credit cards. But I also have no savings. And I know most women my age are in the same boat. Isn't our generation of women supposed to be smarter than this? Aren't we supposed to be into the idea of providing for ourselves and taking care of ourselves? Yet I look around and most of my friends seem to be waiting for someone else's finances to make things like home ownership and a college education for their children possible. Since this will be a pre-record, we won't be able to take calls. 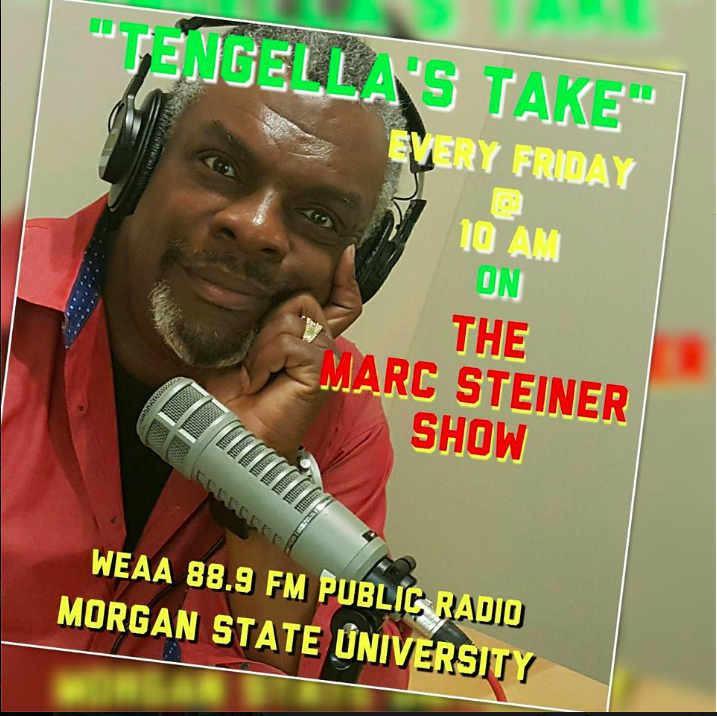 I'm hoping that in the comments section of the blog some of our female listeners will post questions or comments about their failures/successes in managing their personal finances. What pitfalls have you experienced that you want to warn other women to avoid? What have you succeeded at? On Thursday we are going to be pre-recording an interview with Manisha Thakor and Sharon Kedar. They’ve written a book called On My Own Two Feet: A Modern Girl’s Guide to Personal Finance. I am famously bad with money. I have no debt only because I KNOW I am bad with money and am thus terrified of credit cards. But I also have no savings. And I know most women my age are in the same boat. Isn’t our generation of women supposed to be smarter than this? Aren’t we supposed to be into the idea of providing for ourselves and taking care of ourselves? Yet I look around and most of my friends seem to be waiting for someone else’s finances to make things like home ownership and a college education for their children possible. Since this will be a pre-record, we won’t be able to take calls. I’m hoping that in the comments section of the blog some of our female listeners will post questions or comments about their failures/successes in managing their personal finances. What pitfalls have you experienced that you want to warn other women to avoid? What have you succeeded at? One of the things that frustrates me is that since home prices has risen so much in the past few years, it seems impossible that I will be able to own a home until I get married and pool my financial resources with someone else’s. That is very frustrating to me. What are their ideas for how to leverage small savings (5-10k) into something that will grow enough within 5 years to have a substansial down payment for a home? Keeping in mind that the average price of homes sold in Baltimore City and the five surrounding counties was $312,617—and to get a good interest rate you are expected to put down 20%. That’s over $62k!!!!!!!! Where the heck am I supposed to get that kind of money?!?!?! I’m finding it difficult to build savings. My credit card debt is negligible and I’m past the whole living month-to-month thing, but I still cannot seem to save anything. Any suggestions or recommendations as to how to start saving? Or how to save more efficiently? Or what percentage of my earnings should I be putting away? Thanks! Great idea for a book! I don’t like the stereotype that women are behind men financially (savings, investments, etc) because we are more frivolous with our money. How do you address the idea that one of the reasons might be because women make an average of 24% less than men, while having the same qualifications. If I made 24% more in income, I could save and invest more. Another factor is that women are more likely to be single parents (like myself) or taking care of an elderly parent. How do I plan for a secure retirement, while trying to balance my current financial needs? Is it more important to add money to a savings, 401k or pay down debt? A lot of financial advisors seem to focus on providing rigid advice that makes sense intellectually but only works in practice if you’re very disciplined financially. Do you have any tips to help me pay down credit card debt and create a financial cushion? I have automatic payroll deductions set up to contribute to my company 401(k) and I take full advantage of the company match. I know I could be saving more but once the money from my paycheck lands in my checking account, I end up using it to treat myself. I have a question about savings bonds. I have some that are about to mature. Should cash them in, or do they continue to gain value the longer you hold onto them? Also, are there any tax-free ways to cash them in, like if the money is used to pay for college? I’d like to know some easy but practical ways to “stick to a budget”. I’ve tried Quicken, but that never lasts. My bank is now offering tracking via their website. Should I write down every small purchase when it’s made? Save up the receipts till the end of the day (then I wind up with a pile of receipts). Or is it better to just do an automated plan for both saving and bill paying so I don’t need to track “the small stuff”? Also, what is a “safe” amount to have in financial reserves? I’ve always heard 3 months, but Suse Oman has been saying 6-9 months! How can I save for this while paying off other bills and trying to save for retirement and a house? What is the average amount of credit card debit women have? Can you purchase a house if you still have debt from credit cards, school loans or taxes? I am just so frustrated that I had absolutely no financial knowledge til quite recently. I did however see all around me other young women who were doing all the things you talk about, including shopping and lunch dates gallore! So the ideal for a women is to have fun when she is young and let the husband bring the financial security to the relationship. But I am proud to say that currently I am the one stuffing money hand over fist into a retirement plan trying to catch up to where I should be if I had started saving from when I was 20. Better late than never!! But that got me to thinking…What are the manditory skills that I should teach my daughter so that she will be able to be that young woman with a growing financial portfolio? I hate budgeting because I just don’t know how to. How do you figure out how much to spend on clothes, for example? I mean, I could look at what I spent last year, but maybe that’s too much. If I try to spend as little as possible on everything, I just feel guilty for spending money at all. Is budgeting really a useful exercise, and how do you do it? I’ve always considered myself quite good with money. I almost never allow myself to spend it on frivolous things (no matter how pretty they are) and I’ve never been in debt. I’ve steadily been saving my (meager) income and at this point I even have enough money in the bank to do something radically irresonsible: leave a job (I despise) even though I don’t have another job lined up. I want to take time off and relax and travel, even if it means draining my bank account. Most of the women I know have impressive jobs with impressive salaries and they’re settled on a career path, but I’m just not one of them. I’d rather end up with $0 at the end of two fabulous months than push myself to move up and up when it’s not what I want. I’m not sure if what I’m about to do is a necessary soul-reviving mission or an idiotic plan that will land me in financial crisis. How old is too old to pull of a stunt like this? Every year I promise myself that I am going to budget using an excel spreadsheet. This budget always seems practical on the pretty glow of my computer screen, $** for rent, $** for groceries, $** for credit debt, $** car payment, $** entertainment. Somewhere after January I end up failing to punch in the numbers or the budget seems impossible to follow. The spreadsheet provides a nice visual for dividing up my funds but when I have the money all sitting in my checking account all it looks the same. I’ve often thought that if I could take out the cash and put it into seperate envelopes marked “Gas”, “Groceries”, “Entertainment” I’d be able to stick to this budget but having that much cash laying around house is not a good idea and takes away the convience of the credit/debit card. How do you suggest women create, organize, and stick to planned budgets? (3) deposit a nominal amount into a savings account each pay period – direct from your check if you can so you never see it. You’ll be amazed at what you have at the end of the year! (4) pay off the highest interest rate debt first. I paid off my credit cards after college, then chipped away at my law school loans. Now, I am debt-free and pay off the credit card bill every month. (1) falling for the “sign up for a credit card and get a 20% discount today” gimmick. I always intended to cancel the account within a few months to a year and never did. (2) not learning about what affects my credit score until I had a problem. (3) carrying too many credit cards – even though I wasn’t using them, I didn’t know that the limits on each card were considered potential debt! (4) sticking to the budget.